Shankarananda Kalakshetra - a registered Not for profit society (Regd. No 1966 of 1984 A P Public Societies Registration Act) is nationally recognized, as a premier institution for classical music and dance in Hyderabad, India. Established in 1979, the institution is a center nurturing excellence, where budding talents are trained in the classical art forms of dance and music. 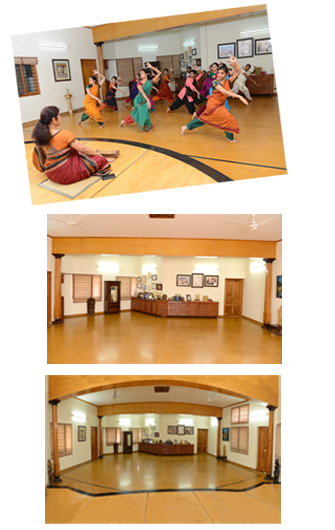 The institution is a renowned center for learning where students are taught dance, theory, music, yoga, Nattuvangam, costume, stage, sound & light techniques thus, providing a holistic training in the performing arts. 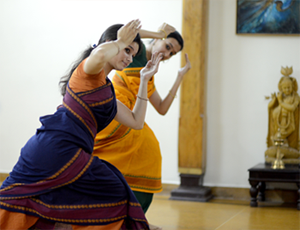 Shankarananda Kalakshetra is particularly known for exacting standards, and students here, learn to balance the traditional with the modern with ease and maturity. Students trained at Shankarananda Kalakshetra not only learn dance and music, but by constant exposure to holistic learning processes, and continuous engagement with the arts, have grown to be well rounded and responsible citizens, besides making a mark for themselves as artists. More than 1000 students have been trained in dance here, and have received innumerable prizes and accolades as performers and teachers. Students are recipients of Junior and Senior National Scholarships for dance and are empanelled artists on Doordarshan and ICCR. Twenty nine students of the institution have staged stunning debuts, and have grown to be brilliant performers and teachers. In recognition of its high standards of training and teaching Shankarananda Kalakshetra, is one of the few recipients of production, salary and equipment grants, from the Department of Culture, Government of India over the last few years. Shankarananda Kalakshetra is also one of the very few institutions of the country, recognized as a Programme Study Centre of the Indra Gandhi National Open University (IGNOU), for Bharatanatyam Kuchipudi and Carnatic Music. Further, committed and talented students get the opportunity to be part of the renowned Shankarananda Kalakshetra ensemble, and participate in the myriad traditional and contemporary dance productions of Shankarananda Kalakshetra, across the world. The members of the Shankarananda Kalakshetra ensemble, are dancers trained by Ananda Shankar Jayant, and have forged a reputation for their extraordinary group productions. Shankarananda Kalakshetra is an empanelled organization of Indian Council for Cultural Relations, and has been selected to represent India at various International Dance Festivals. The ensemble have performed in 5 continents to critical acclaim Shankarananda Kalakshetra, is an oasis of classical arts, engaging in every aspect of creative endeavour, by training the future generation of artists, creating new dance productions, presenting the stars of tomorrow, irrigating the landscape art with signature festivals and publications; besides, cultivating and fostering an audience for art through presentations, lectures and conferences.